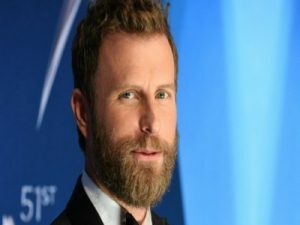 “Woman, Amen” is a song co-written and recorded by American country music singer Dierks Bentley. He wrote the song with Josh Kear and Ross Copperman, the latter of whom also produced it. It is the lead single to his upcoming ninth studio album The Mountain. The song is a “ringing, uptempo track” driven by a “propulsive groove” from drummer Matt Chamberlain. Rolling Stone described the song as having “bright, ringing guitars and vocals that as if shouted from a hilltop, while a rolling drumbeat embodies an avalanche of devotion for one’s significant other.” Bentley wrote with Josh Kear and Ross Copperman, the latter of whom also produced it. He said that the song was written after a series of songwriting sessions in Telluride, Colorado which produced most of the album’s content, and that he was inspired after Kear provided the title line.